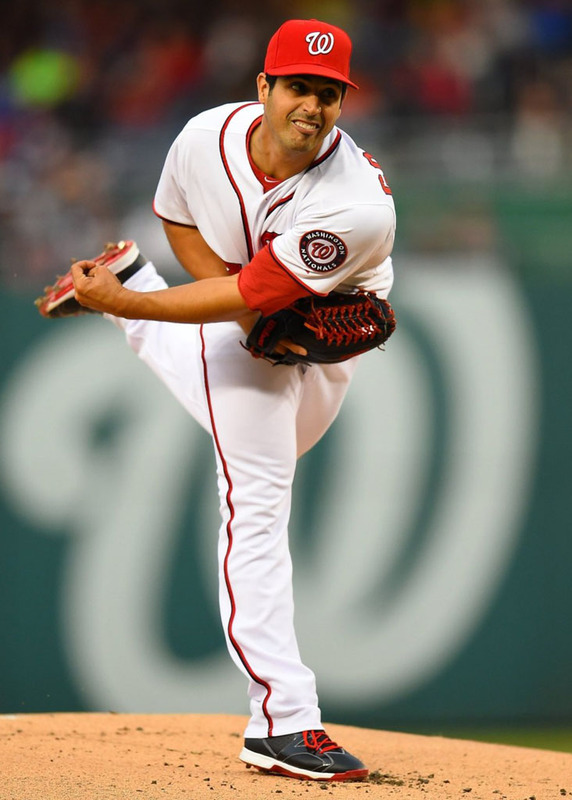 Off to a solid start in 2014, Washington Nationals pitcher Gio Gonzalez has been taking the mound in PE Air Jordan 6 cleats. 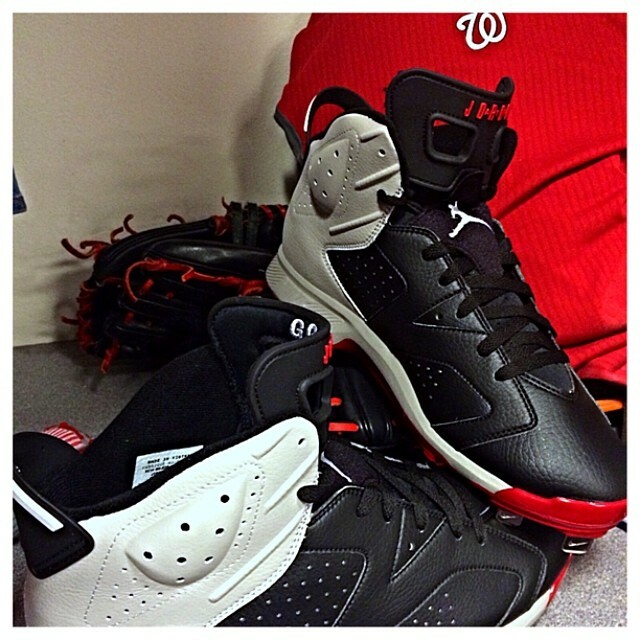 Below is a look at two of his black-based PEs. One pair is helped by a white contrast stitch and red sole, while the other features a grey heel panel. 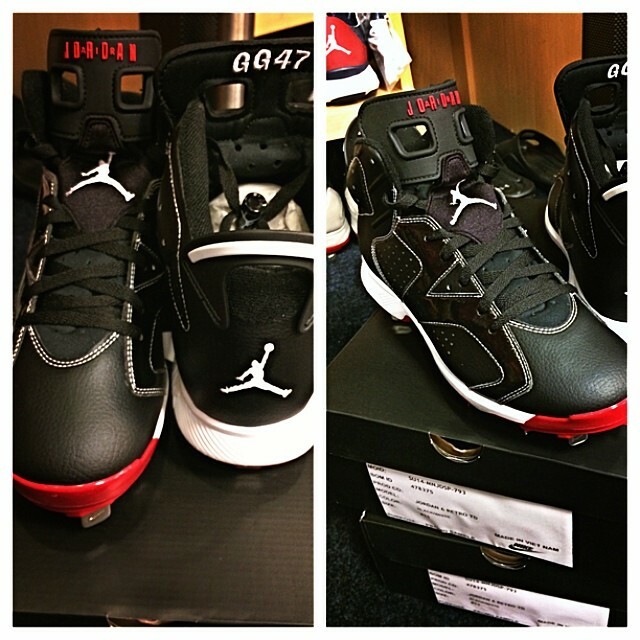 'GG47' is embroidered on the backside of the tongues on each pair. 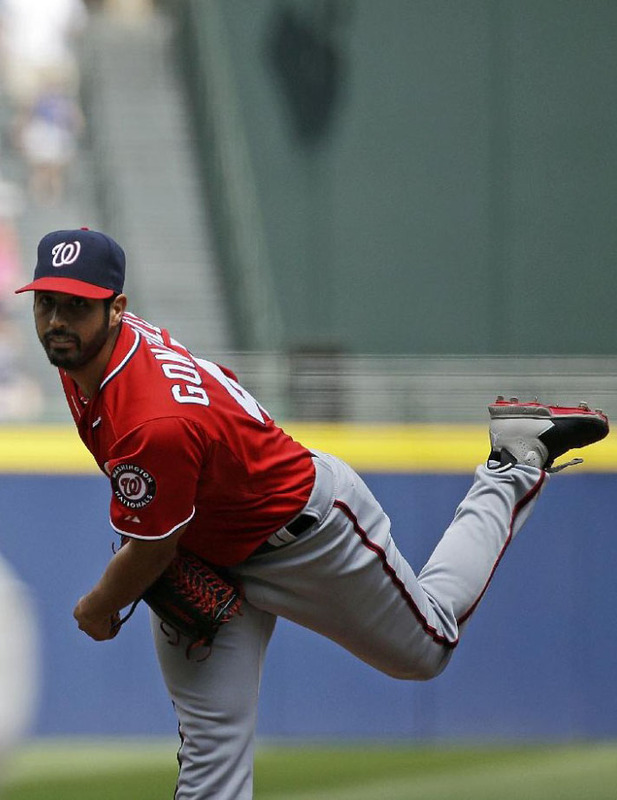 What do you think about Gio's PE cleats? Check out a few shots below and let us know in the comment section.